Looking for a tasteful gift idea for Father’s Day for your foodie? Let me introduce you to Taste Trunk, a delicious subscription or gift box service that lets you try truly distinctive gourmet goodies. I received a complimentary Taste Trunk to try out for myself. I’m also an affiliate, so if you click the links, I get a commission. You get yummy goodies and my gratitude. Totally win/win. Disclosure out of the way, let’s get to the good stuff! As with all my subscription box reviews, I strive to answer one main questions: what makes THIS one special? 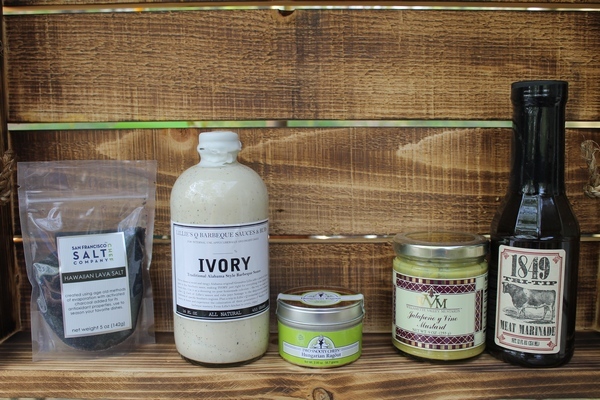 What makes Taste Trunk stand out from the subscription box crowd? Every successful subscription box has something that makes it special. It has to if it wants to survive past the “friends and family” stage. So what makes Taste Trunk scream “pick me, pick me”? First, it doesn’t scream. It’s WAY to dignified for that. Let’s take a look at why it rocks. Taste Trunk takes the “taste” part seriously. Everything from the box to the wrapping to, of course, the gourmet goodies, are 100% tastefully done. Rather than slap everything in a cardboard box with a label on it, Taste Trunk created packaging that LOOKS like a mysterious trunk. It says “treasure awaits.” Open the box for another tasteful display. 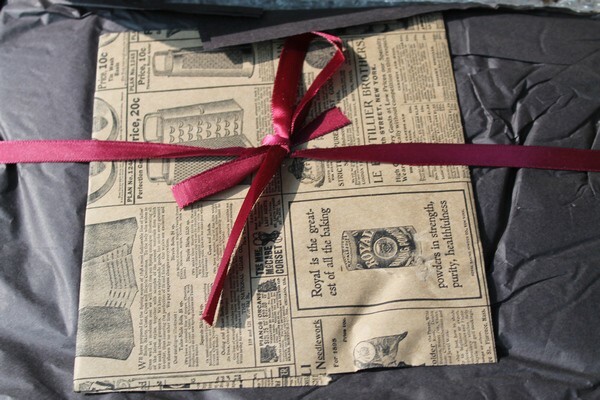 I love the old newspaper, it’s a nice added touch to the rich jewel-tone ribbon (which I totally kept for crafts that I’ll never get around to making!). 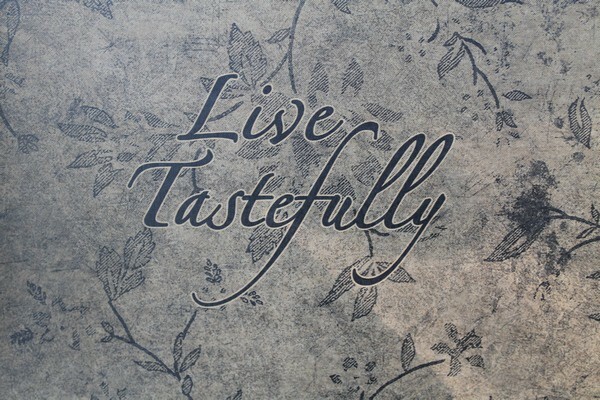 Check the inside lid for a message to “live tastefully.” All these touches create a classy gift for dads, grads or any foodie in your life. So far, I have two favorites: the Ivory and the Black Hawaiian Lava Salt. Ivory is amazing on just about anything. Chicken, pasta, a boring turkey sandwich- pretty much anywhere that you’d use a dressing or a sauce. I have no idea which it is (sauce or dressing). It’s made with their own blend of mayo, but has more zing to it. It’s not overwhelming though. The Black Hawaiian Lava Salt is awesome for two things: making salted caramel goodness and using as a salt scrub. It’s actually made by the San Francisco Bath Salt Company! They have a separate facility for their food-grade gourmet salts, but there is no rule that says you can’t use them on your skin! I bet the Lava Salt works great as a bath soak too, but I didn’t want to use the whole bag and run out. One more fabulous thing about Taste Trunk: you can really customize the trunk for your recipient (or your own tastes, if you want one!). There are loads of curated themes, from Junk in the Trunk for “junk food lovers” (I REALLY want that one!) to The Everything Coffee Trunk (nope, changed my mind, THAT is the one I want!). They have cocktail and beer trunks for those of you who don’t live in Nanny States and can actually have alcohol shipped to your home. In PA, we can only get liquor at state-run stores and beer at beer distributors (or, apparently, grocery stores that completely change their layout and create total chaos so they can meet the incredibly strict rules that allow them to sell beer). If you STILL don’t see something you LOVE, you can make your own trunk by selecting your items from hundreds of carefully curated products. Honestly, though, that kind of takes the fun out of a surprise box in the mail. I suppose you could customize it for someone else, but I like the element of surprise when it comes to my own boxes. That’s how I learn to try new things! 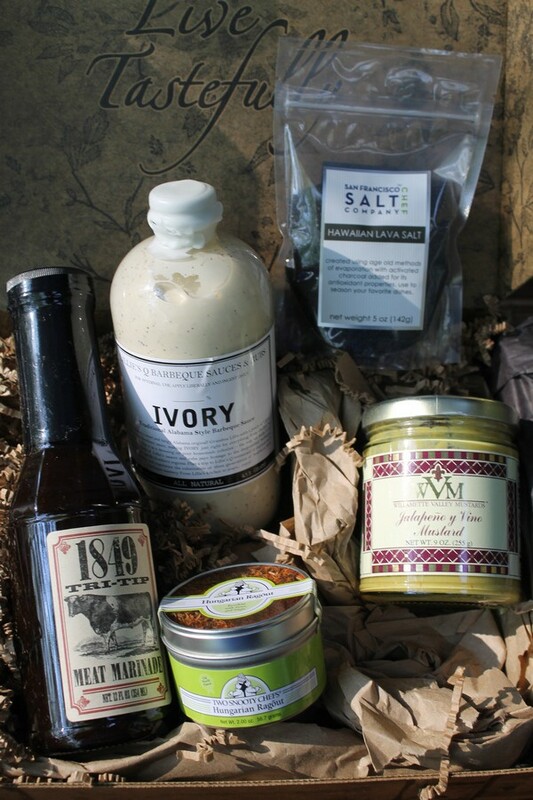 Want to give dad his own Taste Trunk for Father’s Day? 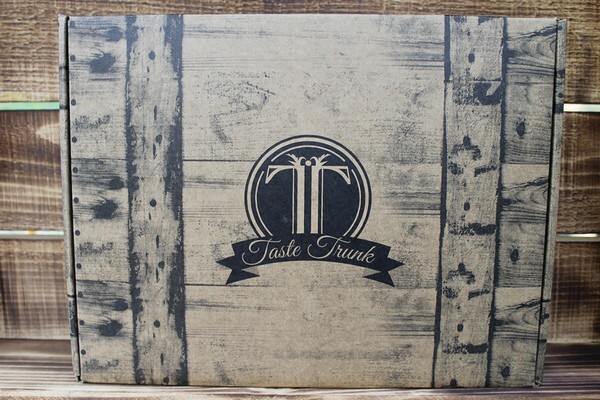 Visit the Taste Trunk website, and use code FD25 for 25% off your order! Of course, you can always get one for you and use the code! Hey, I won’t tell! I’m a single mom, I figure I count as both mom and dad! What type of Taste Trunk would you love to try first? Tell me in the comments!